Naomie Harris is gearing up for the release of her new film 'Mowgli Legend of the Jungle' and today(November 23rd) today(November 23rd) she showed off her look on instagram, while offering a giveaway for a fans to join her at the December 4th premiere. 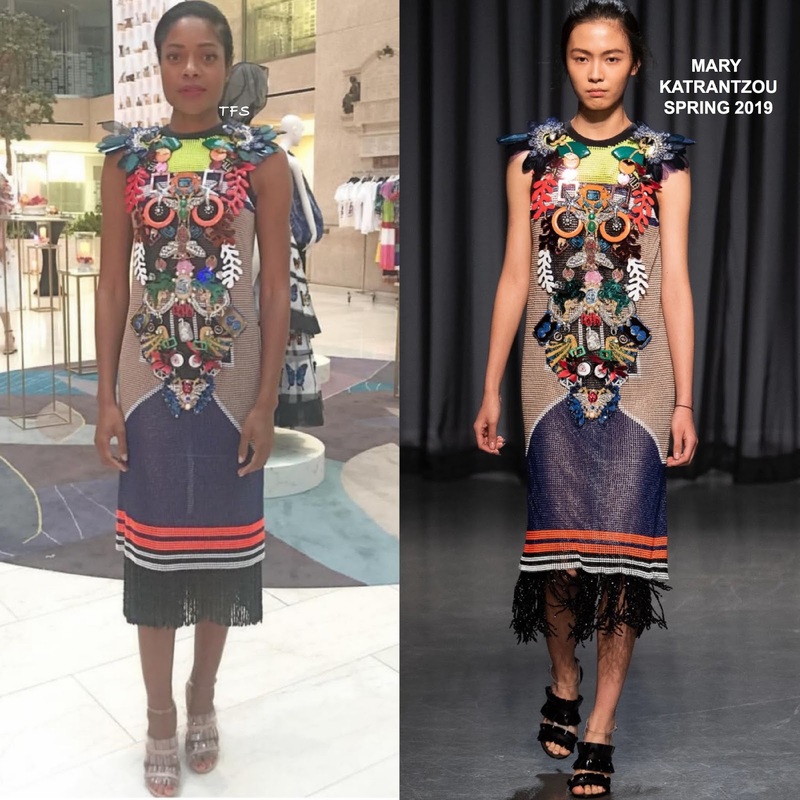 She posed for the gram rocking a MARY KATRANZOU SPRING 2019 color-block, heavily fringe embellished, see-through dress. The embellishments are quite odd in design but Naomie sells it. She is also wearing transparent sandals from the same collection. Allowing nothing to compete with her detailed dress, she wore her hair in a side parted ponytail which topped off her look along with a red lip.